Is easy to use i.e can be quickly attached and/or removed, yet still be a reliable attachment and positively lock onto the chain without the fear of it falling off. The chain grabber needs to be safe, designed to be as strong as high test chain. 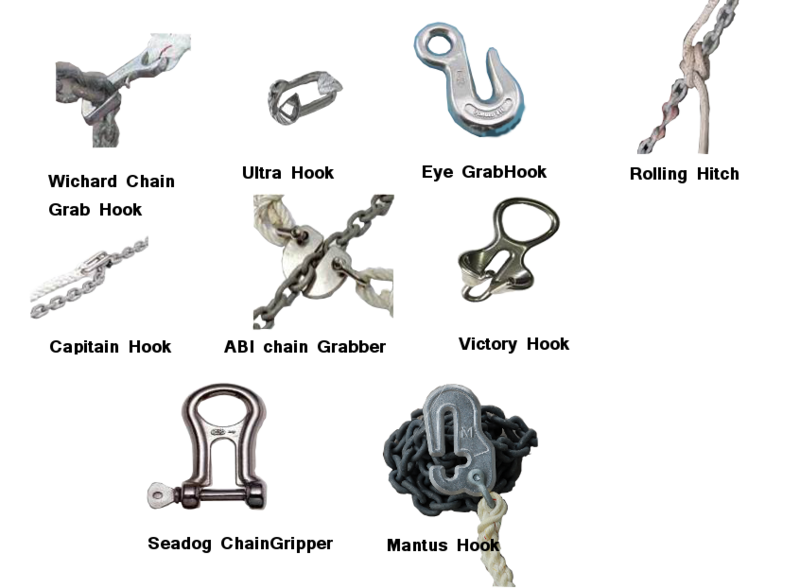 It is hard to find gear that matches the strength of the hi-test chain, as one finds out trying to size a shackle or a swivel to match the working limit loads of the hi test chain.